It is a SALE-A-BRATION ! 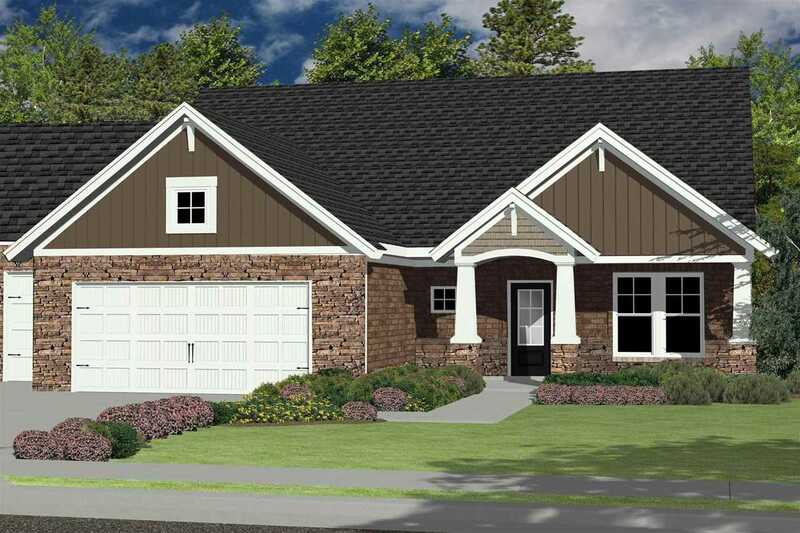 Welcome to this new construction JAGOE home, the Craftsman style Walnut floor plan. This 2 story, 4 bedroom, 2.5 bath home with OPEN FLOOR PLAN and hardwood flooring will be available soon. ?The craftsman style and front porch will invite you in and the EXTRA LARGE open floor layout includes the dining area, EXTRA large family room with floor to ceiling fireplace with shiplap detail. The adjacent KITCHEN offers an abundance of cabinets, a black leather granite counter, subway tile backsplash PLUS all the stainless steel appliances are included. The OWNERS SUITE has a large bedroom, walk in closet, plus full bath with double bowl vanity, ceramic tile shower and whirlpool tub. Rounding out the main level is a powder room and laundry room. On the upper level you will find a flexible loft area, three additional bedrooms with walk in closets plus a full bath. This home also offers a covered back patio and a 3 car attached garage. This market home is also eligible for up to $2,000 in closing costs and up to $1,000 to apply towards prepaids or rate buy-down. MUST BE UNDER CONTRACT BY MARCH 28th, 2019. Must meet lender requirements. Directions:EAST on Oakgrove Road from Hwy 261. Cross over Anderson Road, NORTH into Berkshire, WEST on Brompton Dr.
SchoolsClick map icons below to view information for schools near 5441 BROMPTON Drive Newburgh, IN 47630.